That’s gorgeous! I didn’t know Maine was that pretty. Beautiful photo - makes Mom miss her many years in New England. At first glance this made me feel warm and summer like, but then the water made me feel super cold because it is so cold here and the darkness gave me a winter feeling. It would be lovely to sit and watch the sea from there! Now you're talking. Everything about the ocean is wonderful. Fabulous ocean shot! Like the rest of us in the east, Maine is in a deep freeze at the moment. I'd love to visit in the summer, though. Thanks for the link up. Cheers! 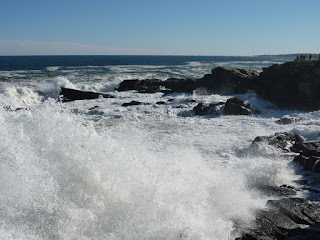 I love the Maine coast line! We've been to Portland Head a few times over the years. Our youngest daughter workis in Portland but lives about hour north of the city. We hope to be able to visit her this year some time and to see some of our favorite places in the Pine Tree state. Thanks for stopping by today! So lovely! Hope you had a wonderful time! 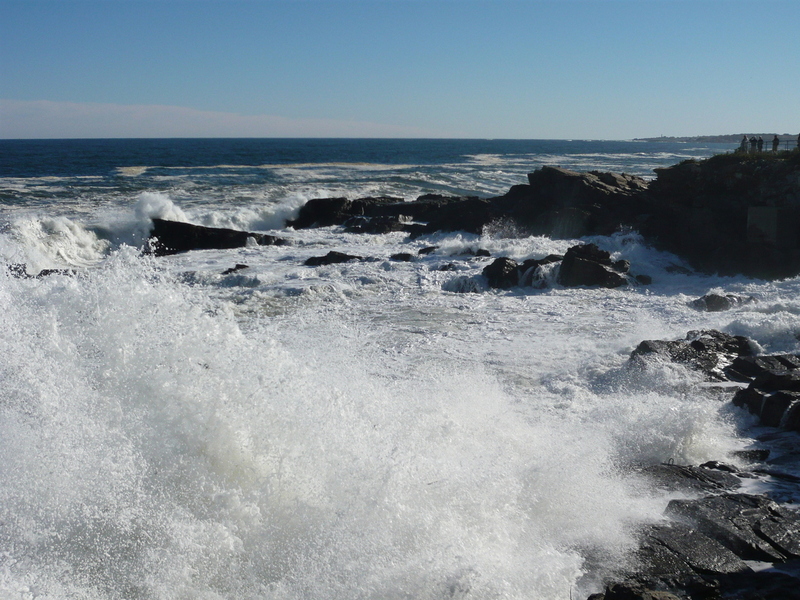 Such a beautiful image of the Maine surf. I would love to visit that area. ~grin~ Be well! Well, that's just to darn cute! Thanks for sharing, but can you please take me with as a stow-away or something? ~hehehe~ Have a great day! I'd love to visit Maine someday! Barry Manilow's Weekend In New England is playing in my head. so beautiful! I have always wanted to visit Maine, do you believe I have never been? Oh, I really need to visit New England. Beautiful. 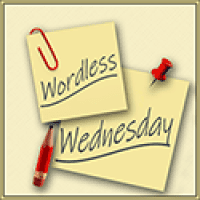 Wordless Wednesday - Tromso, Norway. Wordless Wednesday - Ring of Kerry, Ireland.